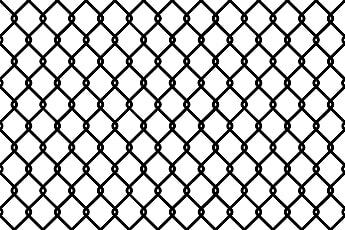 Commercial chain link fences, our most popular type of commercial fence, are known as being the most industrial and functional of all fences. Consequently, they are used equally for commercial businesses and for residential properties. Essentially, they are woven fences comprised of interlocking, coated steel wires. They typically enclose yards, playgrounds, empty lots, industrial areas, business parking lots and sports fields. 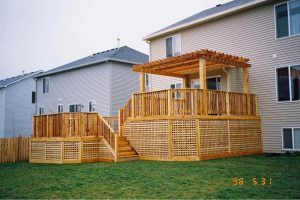 If you need a commercial chain link fence in Park Ridge, consider hiring the experts at America’s Backyard Fencing and Decking. Our team can also install privacy or security fences for your business. We specialize in commercial fences for clients of all types. 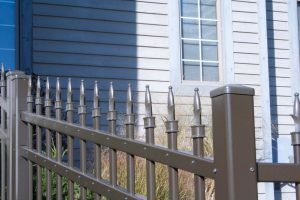 Our durable, long-lasting materials ensure you get a long lifespan out of your fence, no matter what the purpose. 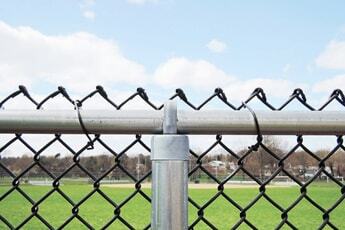 Rest assured, our trained professionals can install the commercial fencing Park Ridge IL requires for security. Thus, to assist you in budgeting for your new commercial fence, 12-month special financing is available. Plus, we offer many promotions throughout the year to help you save cash. Despite your reasoning for getting a commercial fence, it should be of high quality. When you hire us, we will give you experienced contractors who can do it right. Poor installation is one of the most common causes of premature failure. Don’t let this happen to you. 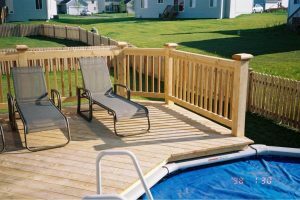 In conclusion, contact America’s Backyard Fencing and Decking for a free estimate or complete our online form for more information on our commercial fences in Park Ridge. Call today at 815-834-1200. We serve all of Park Ridge and surrounding areas.